Cartoonist Rube Goldberg became a beloved humorist at the turn of the last century by drawing enormously complicated machines to accomplish wholly unnecessary jobs. Ned Kahn, who invents machines that make visible otherwise invisible natural phenomena, is among America’s greatest artists working today in public places. Amid these towering figures are a hundred years worth of California Jewish artists including standouts such as acclaimed ceramicist Annabeth Rosen and gizmo matriarch Bella Feldman. Such artists’ works gracefully render the world as a gigantic unexplained mechanism—complex, baffling, and lovely. 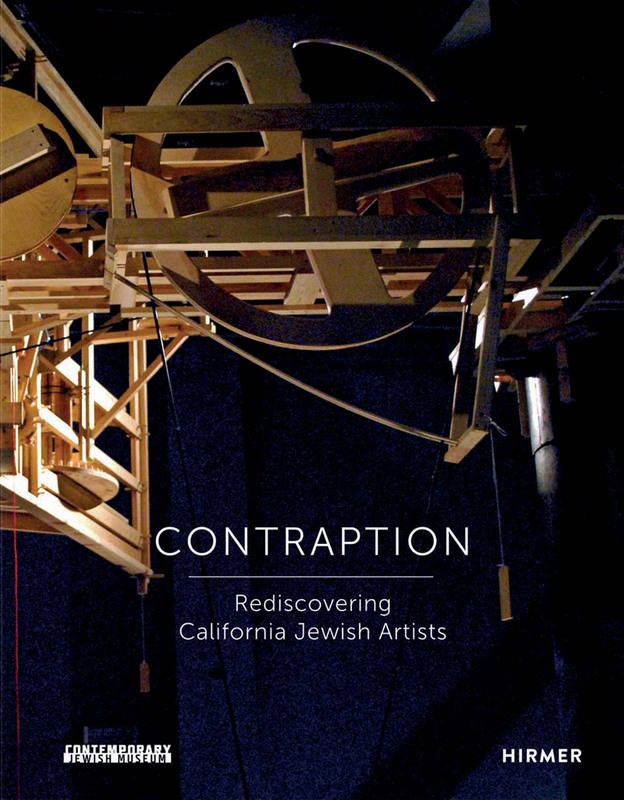 The first book to examine the achievements of these California artists, Contraption illustrates how sixteen artists use the metaphor of the machine to understand and depict how the individual aligns his or her identity with the workings of an at times incomprehensible social system. The compelling works showcased in this catalog illuminate the humor and drama of a century on the West coast.